So, we've collected our ooziest, gooeyist, al dente-ist Italian pastas for you to cozy up with after a long day. And let's not get into what's "authentic" and what's not — everyone has their own way. 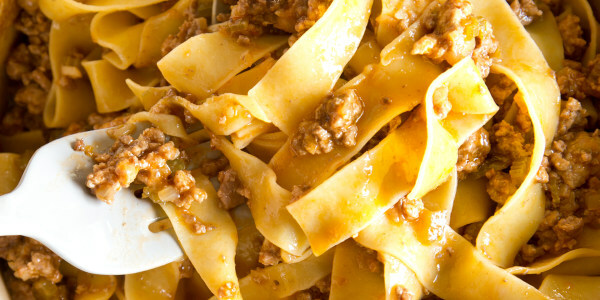 Hopefully a few of these, though, will remind you of how your nonna used to make it. Bring together ripe juicy tomatoes, fresh basil, pecorino, and lots of fruity olive oil to make a quintessential uncooked pasta sauce. 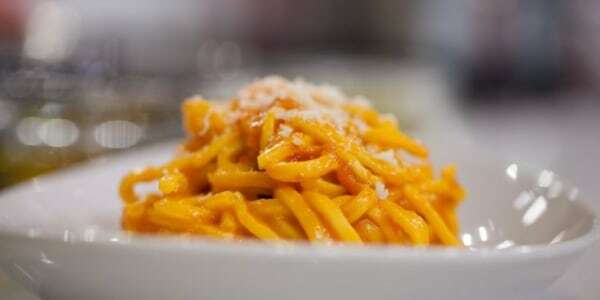 The only heat comes from the hot pasta, which soaks up all the delicious juices. 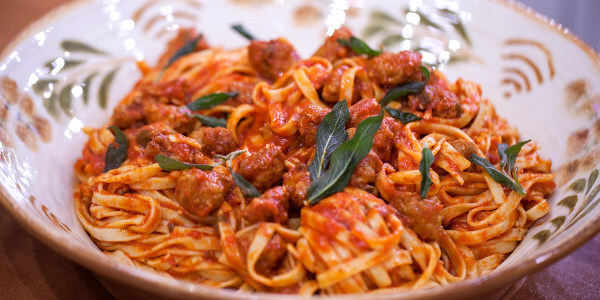 Scott Conant's pasta pomodoro is like heaven in your mouth. It's a sensory experience that you'll never forget. 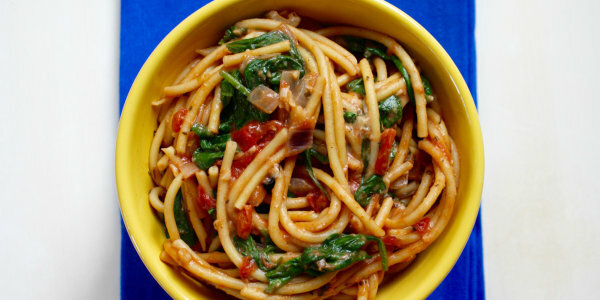 The only downside is that no other pasta pomodoro will ever taste as good to you. 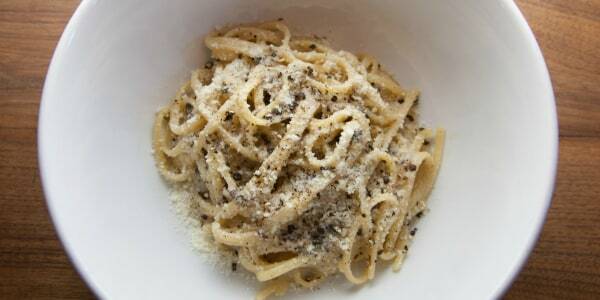 The predecessor of mac and cheese as we know it now, this Roman dish is made with pasta, cheese and pepper. 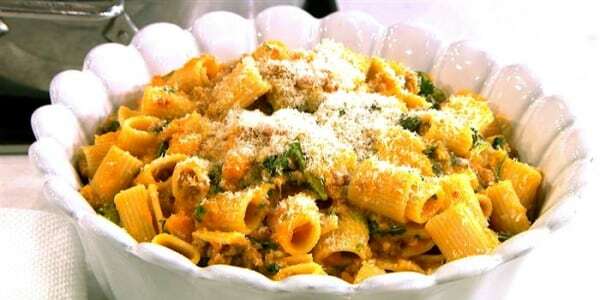 The secret is using the starchy pasta's cooking water to create a creamy sauce that coats each strand. 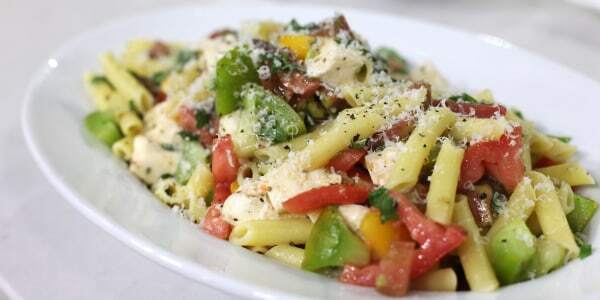 The result is perhaps the ultimate 3-ingredient pasta. The simplest ingredients — rosemary, garlic and butter — infuse the spaghetti with seriously powerful flavor. As is so common with pasta, less is definitely more in this case. Here's an important tip for this one: Cook the pasta with unsalted water for half of its cooking time (molto al dente), then transfer the pasta from the boiling water right into the sauce — the creamy, cheesy, salty sauce. The pasta finishes cooking in the sauce — not the water. 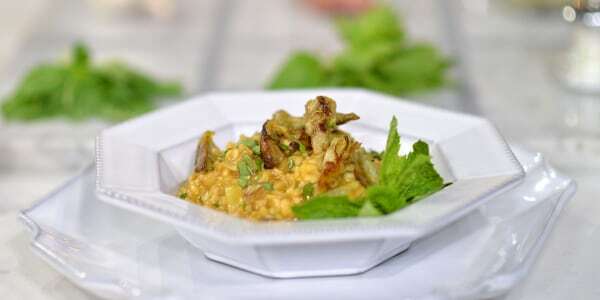 Pureed roasted garlic and lemon zest cut through the creaminess of Giada's risotto with a welcome tangy flavor. 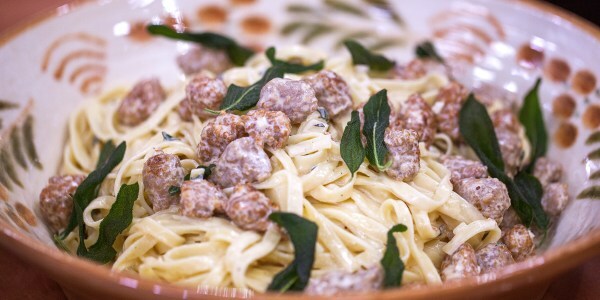 Twin Italian chefs Tony and John Alberti pair their five-ingredient sauce with long strands of tagliatelle that cling to the sauce perfectly, then top it with crispy fried sage leaves for an extra layer of texture. 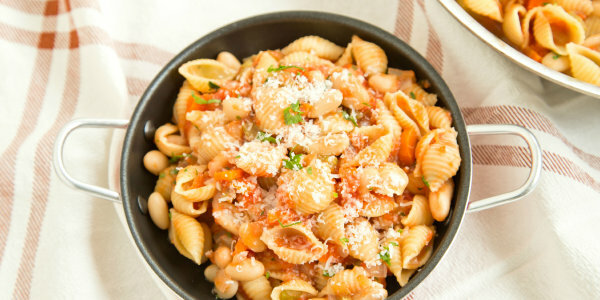 The ultimate warm-your-soul dish, packed with beans and veggies, pasta fagiole is like the Italian version of chili. Luscious and lazy: Is there a better combo? 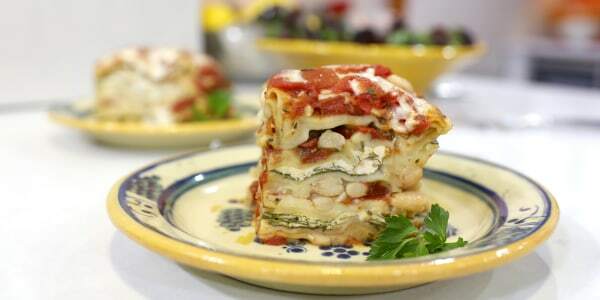 While this lasagna is delicious fresh out of the slow cooker, we'd argue it's even better the next day. 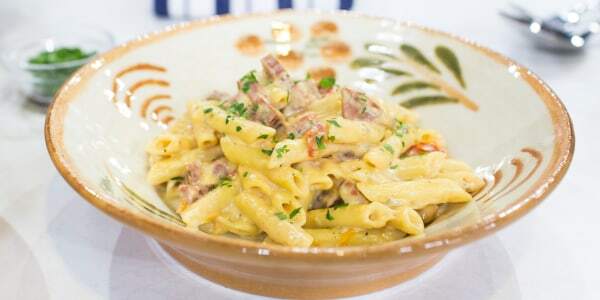 If you're in the mood for a lighter, more refreshing pasta dish, Scott Conant's colorful penne dish is like spring on a plate. 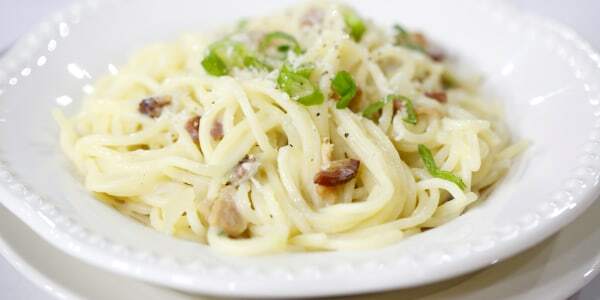 Perhaps a perfect dish, this pasta is simply made with spaghetti, bacon, eggs and grated cheese. Since there are so few ingredients, be sure to choose the best possible version of each since they'll all shine through. Sure, this is an unconventional pesto — made with walnuts, kale and orange juice — but that doesn't make it lesser than your typical basil-pine nut combo. It's got a nice bitterness to it, and, paired with olives, more of a bite. This pasta cooks entirely in one pan (without boiling water first — seriously) and, with all its starch, makes its own creamy sauce. 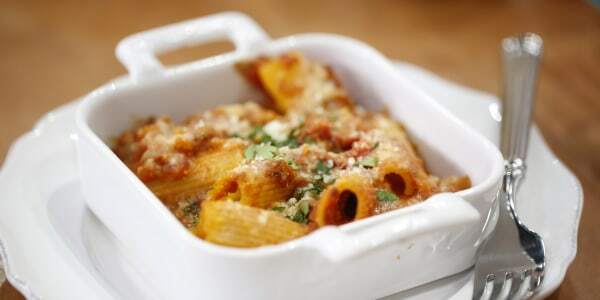 Giada's mezzi rigatoni only uses five simple ingredients but they work together to create a complex combination of flavors: peppery arugula, creamy, sweet butternut squash, spicy Italian sausage, salty Parmesan, and, of course, butter. 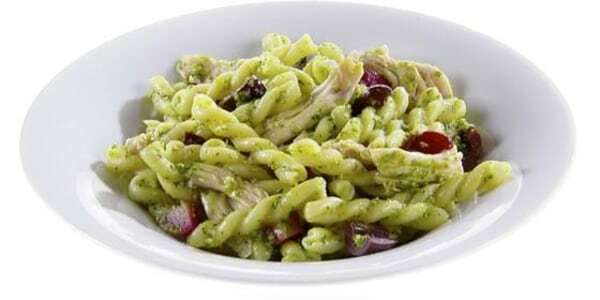 Pistachios sub in for pine nuts for a sweeter, fruitier, brighter pesto to coat your pasta with. This recipe cuts down on cook time and calorie count, but doesn't lose any of the rib-sticking, slow-simmered comfort of classic Bolognese. It's a win-win. Creamy and rich, with fragrant fresh sage and crispy fried sage leaves, this pasta is way easier than it looks (and tastes!). 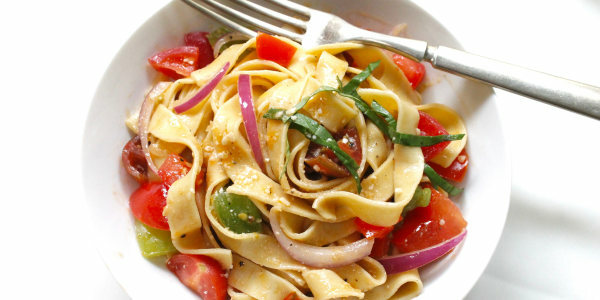 Don’t panic if you’ve never made homemade pasta before! 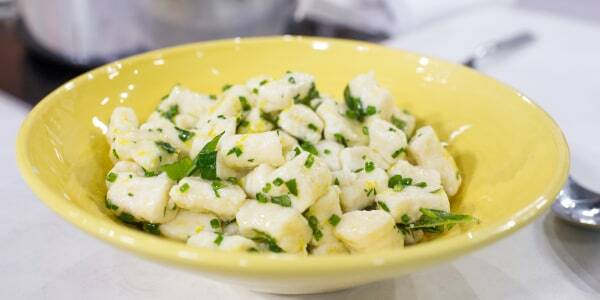 This recipe has a simple, ingenious way to turn gnocchi dough into perfect bite-size pillows. 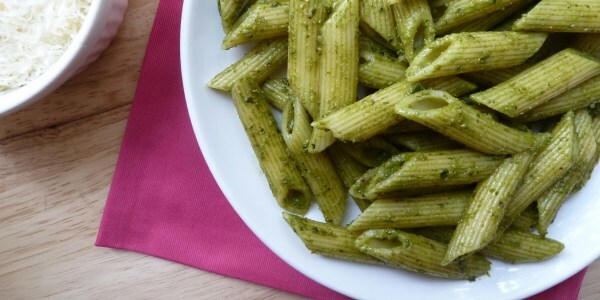 Bring a little glimpse of spring into your kitchen with this vibrantly green dish. 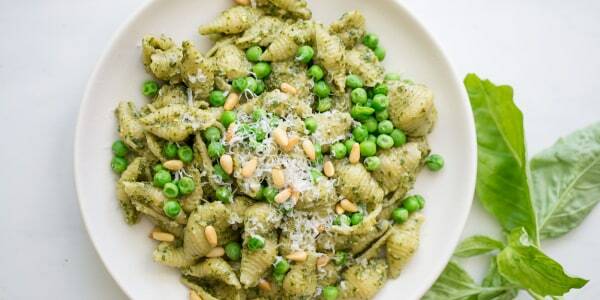 Hiding inside the shells, the peas and pine nuts are a pleasant surprise in each bite. 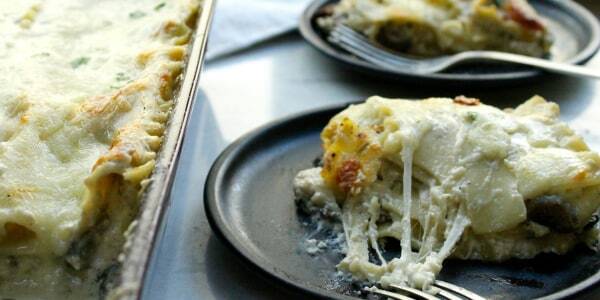 With four — count 'em, four — cheeses, a creamy white sauce, and a mix of roasted wild mushrooms, this vegetarian lasagna is the definition of decadence. The classic trio of Italian sausage, peppers and onions combine with rigatoni to make a gooey baked pasta you'll always keep in your back pocket.